The Grand Prismatic Spring, a hot spring in Yellowstone Park is the proof that we can find rainbows also on the ground. 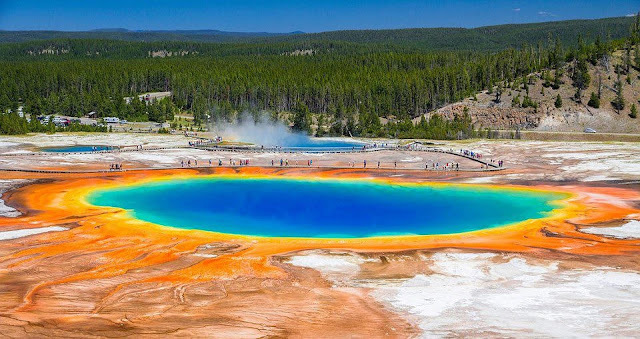 Grand Prismatic Spring is the largest hot spring in the United States and the third in the world. It’s approximately 370 feet in diameter and 160 deep. Ferdinand Hayden first described and named it in 1871. It has got colours from red to blue. In the centre of the pool there are organisms that fed off inorganic chemicals like hydrogen gas. Those organisms give the water a beautiful deep-blue colour. “Synechococcus”, a particular bacterium, is responsible of the yellow, orange, brown and red shades. Those bacteria produce energy using different types of chlorophyll and carotenoids. Also those substances manifest different colours as the temperature changes. Moving from the centre of the pool (189 degrees Fahrenheit) the temperature cools down. The yellow band is under 165° F, the orange one 149° and the red and the brown ones (the darkest colours produced) are under 131°F. But if we said colours depend on temperature, this means they can also change as the seasons change. In summer colours around the center go from yellow to red, instead in winter they are dark green. Isn’t that wonderful? 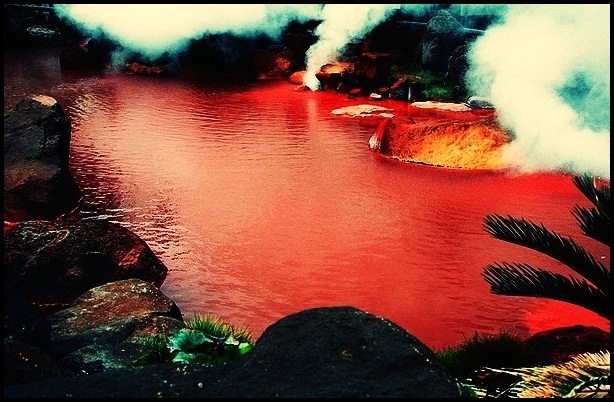 This peculiar hot spring is so-named because of the red colour of the water. It is red because of the rich presence of iron. It looks like hell but it is not. I promise. 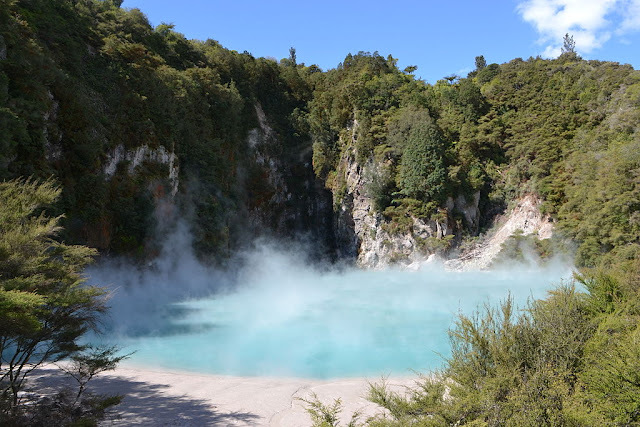 It is the largest hot spring in the world and is located in the Echo Crater of the Waimangu Volcanic Rift Valley of New Zealand. 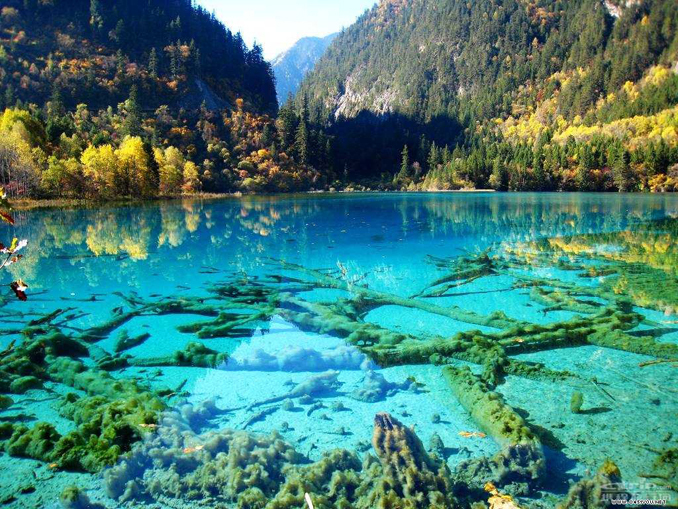 This place is situated in the south of China. It’s made of hundreds of pools formed by calcite deposits. WARNING: you may meet some lovely pandas! They are in Tuscany next to the town of Saturnia. They are waterfalls cascading down water carved rock wells. Don’t you want to jump into those pools just by watching this picture? 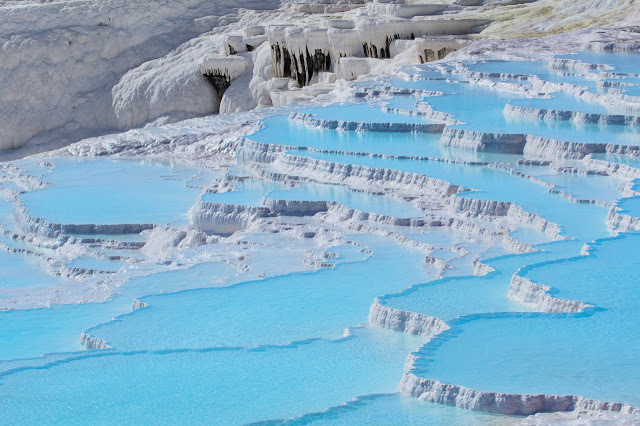 Pamukkale means cotton castle in Turkish. The blue water in the white rocks makes it look very cold and it’s a pleasure to our eyes. It is a UNESCO World Heritage site.